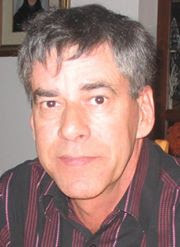 Pierre Leclerc is a pancreatic cancer survivor. In February 2004, her doctor discovered a large mass at the head of this body. Very quickly, the various specialists conclude that pancreatic cancer at an advanced stage. Surgery, chemotherapy and radiotherapy are linked to the discovery of spots pancreas, liver and spleen, stains, evidence of all, could only be metastases. "It was at this time that medicine has given up, recalls Peter. They gave me two, three months to live. There was nothing to do except palliative treatment. "The treatment in question has failed to have his skin and had to stop everything. We were then offered to restart treatment at a lower dose. What Peter refused. "Having tried everything that traditional medicine had to offer me, I signed the discontinuation to favor a better quality of life for my last months among my people. I made it very calmly, in any event and with the consent of my family. " The rest of the story is amazing. A few months later, tests showed that the "metastasis" were reduced by 75%. "And in December 2004, all traces of cancer cells had completely disappeared and blood markers were back to normal," said Pierre. Today, Peter is in top form. Formerly an executive in a large company, it has shifted to specialized massage therapy for cancer patients and their relatives. The message he wants to get into is one of hope: "You have to say that even in cases that seem completely utopian, even when all believe that there is no hope, we can not predict the future. You never know what tomorrow will bring, so always keep hope, even when medicine has no more. And above all make the most of life with all our current capabilities. "